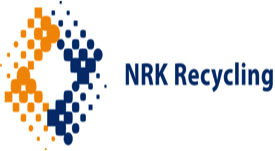 Plastics Recyclers Europe (PRE) was created in 1996 to represent plastics recyclers in Europe. When created the association had 7 members. Currently, Plastics Recyclers Europe has more than 120 members from all over the EU and this number continues to grow. In the first years of creation, PRE recycled 200 000 tonnes of plastic waste. Today, this amount reached 3 million tonnes and will continue to grow. Crain Communications delivers news to more than 6 million global business leaders with 54 leading Industry brands in 11 global locations. Within Crain is the Polymer Group which is one of the largest publishing and media houses in the plastics industry. The team behind the leading pan-European title Plastics News Europe organise PRSE and the Plastics Recycling Awards Europe (PRAE).